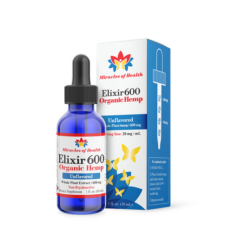 I have personal results to share with the use of Miracles of Health CBD Elixir. I was diagnosed with Hashimoto’s Hypothyroiditis in 2012. I have taken both prescription and compounded medications along with numerous nutritional supplements to stabilize my TSH (Thyroid Stimulating Hormone) at close to 1.0 and to reduce the antibodies (Thyroglobulin & Thyroid Peroxidase or TPO) that go along with Hashimoto’s. I did have some success with the compounded T3/T4 medication and some supplements with reducing the TSH to 2.5 and a mild reduction in antibodies. However, I rarely felt an increase in energy or a decrease in the aches and pains that go with this disease. I began taking the CBD oil in June after having blood drawn in May with the result of a TSH of 4.7 and high antibodies. I was feeling tired and achy and a bit frustrated. Throughout the summer, I began feeling more energy, I felt stronger and noticed a general increase in stamina (especially when I walked 18 holes on the golf course). I also started to hit the golf ball further which made many people ask me what I was doing to make such a change. I also began noticing a decrease in the size of my mid section, which had been a major source of frustration for me. 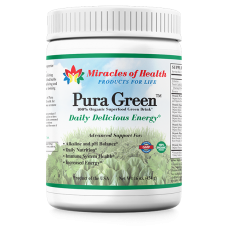 I happened to pick up a bottle of Pura Cleanse several months ago. Of all of the products that I have tried in the past few years this is by far the best. The ease at which it does its job is amazing. Many other products require an adjustment of habit to take and also experience. Pura Cleanse is simply 4 oz’s of O.J. with a big spoon full of the product, stir well and drink. 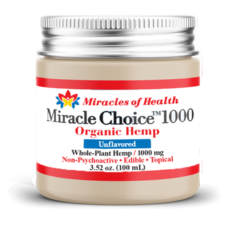 Throughout the day you feel and experience the results of the great “All Natural” product. It boosts your energy and of course provides assistance in other areas that help to keep you light on your feet. To those that developed this product, I applaud you. A few years ago I was traveling in Ghana, West Africa, where there were no water purification systems. I was advised to drink only bottled water; which I did. However at lunch one afternoon I ate a fresh vegetable salad, and did not realize that the vegetables had been washed and rinsed in tap water. After a while I became very ill with stomach cramps head ace and diarrhea. This went on for a few hours until I realized that I brought some Pura Cleanse along on the trip. 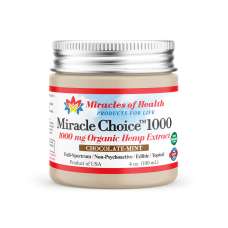 I took one heaping tablespoon in a glass of water, and within one hour all of my symptoms were gone, my appetite returned, and I was feeling great. Pura Cleanse (now called Pura Cleanse) goes with me whenever I travel. Judy Marie’s products have been a great help to me. They have enabled me to cleanse toxins from my body. This has made a tremendous difference in how I feel physically. Judy Marie’s products are absolutely great! Each one lives up to its label. The service is fantastic!